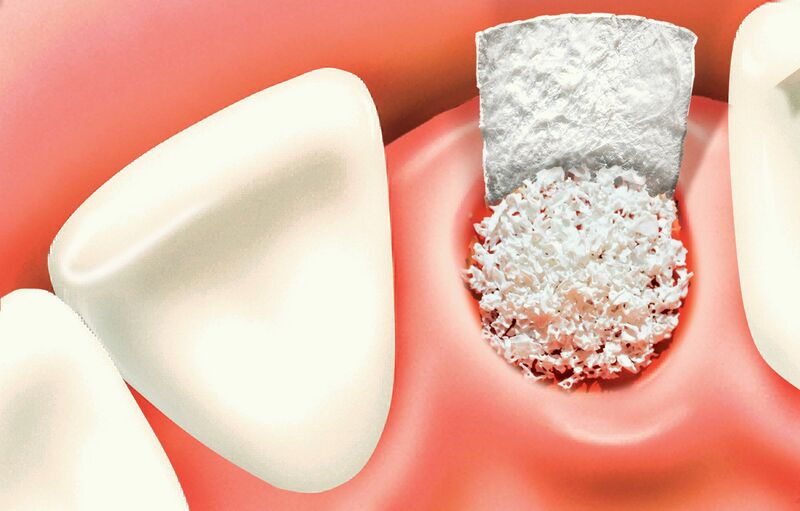 Bone Grafting - Necessary in some cases for the success of dental implant procedures! The success of a dental implant procedure depends primarily on the stability and steadiness of the new implant in the jaw. The only way this can happen is if there’s enough bone structure around it to hold it firmly and securely in place. Some people just naturally have low bone volume and others might have suffered from gum disease, tooth loss or an injury, which eventually lead to bone loss. In this case a bone graft is necessary to prepare your jawbone to accept dental implants. 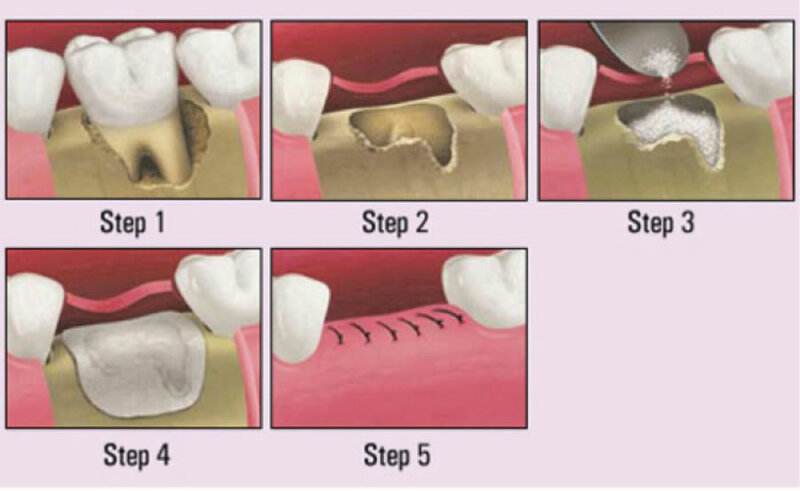 The bone graft procedure involves opening up the gum tissue, placing the grafting material in the desired area and closing the gum tissue again. Usually, bone grafts do not cause much discomfort or down-time. Fortunately, at our Oakville dental office, we offer all kinds of sedation to eliminate any fear, pain or discomfort. Your highly trained and experienced dentists and specialists at Bronte Village Dental Office, will perform an oral examination and assessment, present you with all the options, explain to you the procedure in details and answer all your questions. Dr. Sarafov will also inform you about the healing procedure and how it differs according to the type of bone used for grafting and the amount of bone used. During your one-on-one time with Dr. Sarafov and after she assesses your case, she’ll be able to give you more concrete treatment plan options and answers on what to expect. You will be asked to follow some post-op instructions and maybe even take some medication to ensure a good healing process. Feel free to ask us any questions and share any concerns at anytime. We are committed to accommodating all your needs to make you feel as comfortable and relaxed as possible. Book your consultation today.